These perfectly puffed Smoked Gruyere and Thyme Popovers with smokey cheese and herby thyme are simply the best ever! Popovers. I love popovers. Like, love love. Really love. Like, every time I make a batch I eat them all kinda love. Like my traditional popovers here, and my poblano and pepperjack popovers here. …Well, these pillowy-flaky, smokey-savory, herby popovers are the best yet. They truly are. It’s the Gruyere – this creamy cheese just gave these popovers a texture and flavor that was surprisingly perfect and I wasn’t expecting honestly. …Right?! Perfect, no? And sooooo damn tasty. As I’ve said before, there are a couple tricks to getting your batter to puff properly. First, preheat the pan in the oven and have your ingredients at room temperature. Once you put the batter in the oven, you want it to heat quickly so the steam gets created in the batter to make the “puff” happen. Preheating the pan and not starting with the batter cold helps this happen. Second, coat the tins with something like flour, cornmeal, or parmesan. This gives the batter something to cling to as it rises and the deeper your cups, the more they will rise! And lastly, once puffed and golden, pierce the tops with a knife and bake a little longer. This releases steam and firms up the crust so they will stay nice and puffed once they are out of the oven. By taking these steps, your popovers will puff perfectly! 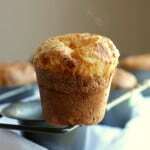 And with this new recipe here, you will have the most delicious and flavorful popovers! Heat oven to 400F with the popover pan or muffin tin in the oven to preheat as well. In a large mixing bowl, combine the following ingredients in the order given: eggs, milk, flour, salt, butter, cheese, and thyme. Take care not to overmix, especially after adding the flour. The batter should stay a bit lumpy. Remove the preheated pan from the oven and spray with cooking spray. Dust the insides of the tins with flour, shaking out the excess (this will give the dough something to cling to to help the popovers puff properly). 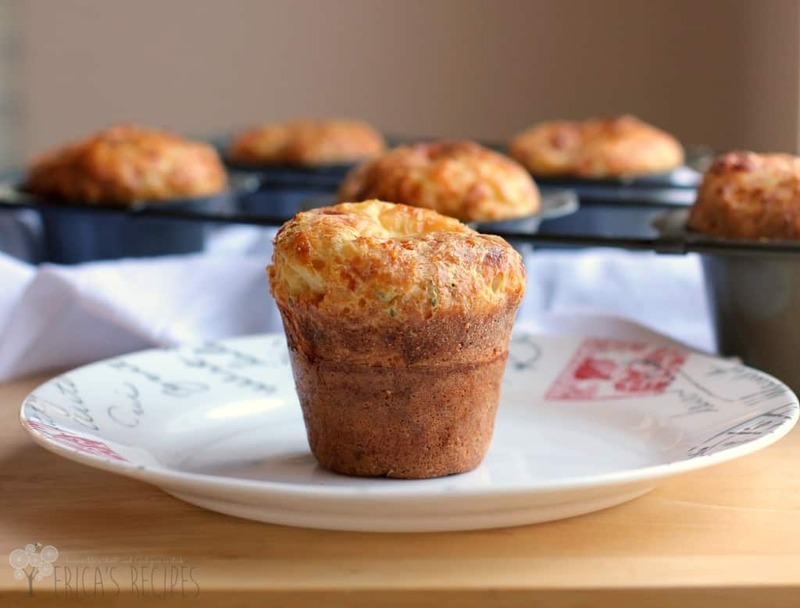 Add the prepared batter to the popover or muffin tins filling each half full. Bake at 400F for 30 minutes until puffed and golden. Pierce the tops with a knife and bake another 4 minutes. Remove from the oven and serve immediately. With butter. Yield: 6 popovers. I love, love, love popovers. I think yours sound amazing! Yum! Oh yes ma’am I would love one of those beautiful babies. Those are simply beautiful! I love the combo of gruyere and thyme!YUM! The post title had my mouth watering, and then the pictures made me almost pass out from food lust! I am making these pronto! Thanks for the recipe!! I love Thyme! These look fabulous. Oh man, now you got me wanting to eat popovers. 🙂 These look so yummy! Popovers are one of my favorites! Especially cheese- yum! These look delicious! I’ve never seen anything like these. Yum!! I’m pinning this recipe because I love me some Gruyere cheese. This would be a perfect appetizer for Super Bowl Sunday. I have never attempted to make popovers–even with these perfect directions I would bet my last dollar they would flop–that is just how it is with me–and yes they sound and look absolutely delicious! I have never had a popover before. That looks really good and I love the flavor combination. This recipe looks AWESOME!!!! So much fun to serve with a wonderful soup. Thanks! I’ve never heard of popovers [I’m English] but these look so scrummy! I love your tips too – I’ll be back for more! These look absolutely delicious! I just pinned this to try for one of my brunches! These look so good. Very airy and light! Perfect for Mother’s Day brunch! Can you believe I’ve never had nor made a popover? These look so amazing and I can just imagine them alongside some fluffy scrambled eggs…oh my goodness! I need to get a pan and give this one a try! These looks so good. I’ve never heard of anyone flavoring pop overs before. GENIUS! These would be awesome with prime rib! Gosh, I love these! Great flavors you added in! Yummy! These look TO DIE FOR. I’ve never made popovers before and now I can’t imagine why. I appreciate the tips–hopefully it’ll save me from a popover fail! These look absolutely amazing! Adding them to my to make list! These are so pretty and perfect I don’t think I would want to eat them! Lol jk I totally would they sound amazing! 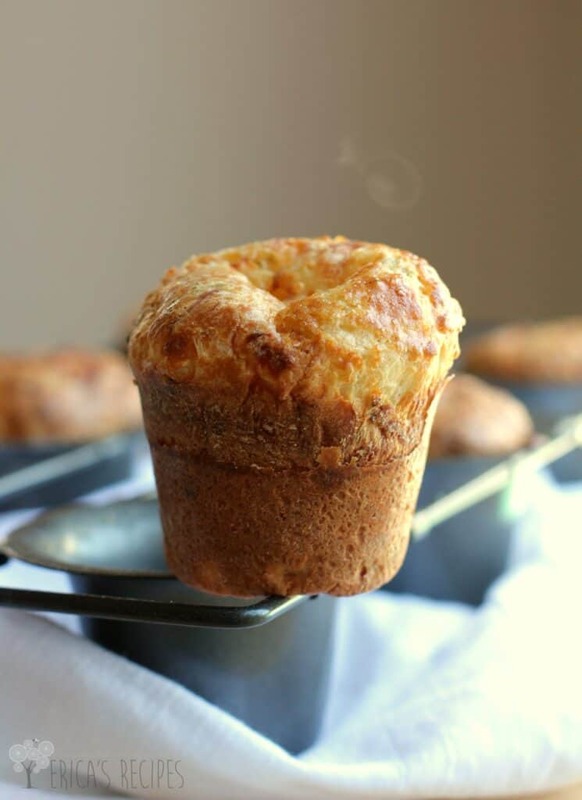 I’m on SUCH a popover kick…the combo of gruyere and thyme sounds fantastic!! Looks like i need to get my popover pan out, these look incredible. You had me at the cheese. Those look absolutely amazing! They sound nice and savory. Bet I’d really like these, and the fam likely would too! these are perfection!!! love savory popovers!! 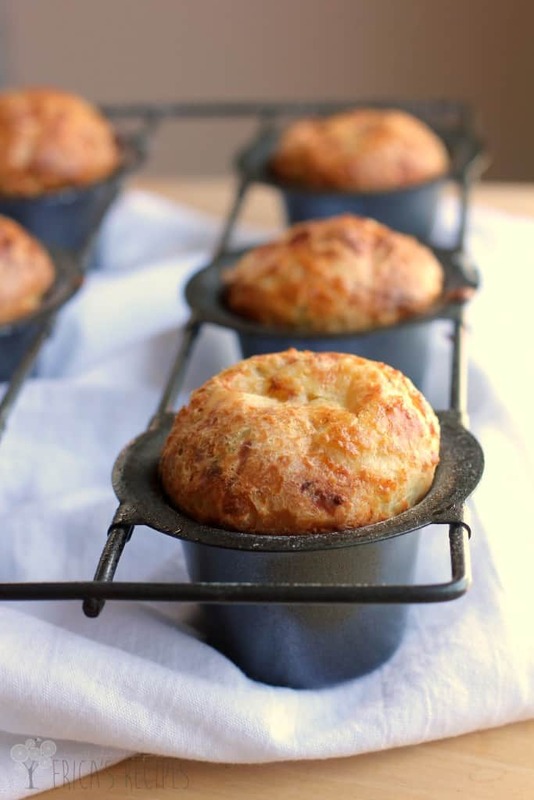 Delicious popovers, thanks for sharing with Hearth and soul blog hop, pinning. I just love all the delicious flavors in your popovers. 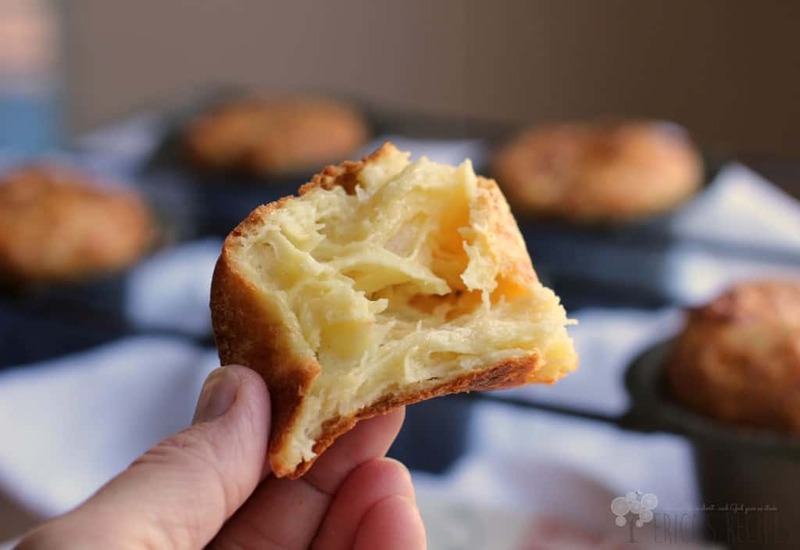 I must find a popover pan ASAP so I can give these a try. 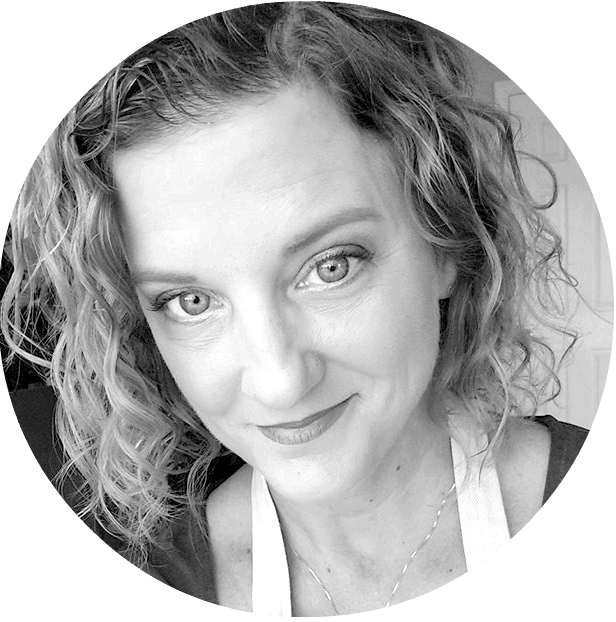 Thanks so much for sharing your recipe and helpful tips. Beautiful popovers! I’ve tried making them before and failed dismally. I’m so inspired to try again with your recipe, thanks!! Incredible photos and recipe Erica. These look so good. I have a popover pan that sits on top of my microwave. Every so often I dust it. It’s beautiful, but for all it’s beauty, it’s very lonely. Maybe I need to cheer it up with your recipe! Doing What Makes Me Happy | What's On The List?